Edwin is our resident Training Instructor and leverages an extensive professional teaching and semi-professional sports background in his applied techniques to improve one's health and wellness. Edwin has been a resident Training Instructor for just under one year. 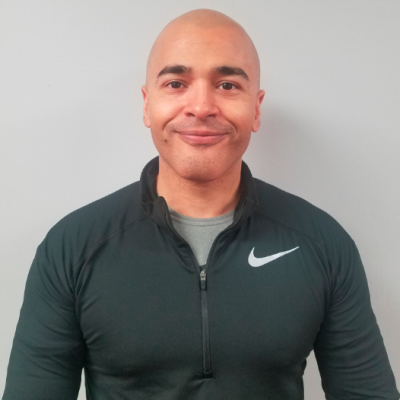 He has leveraged his extensive semi-professional sports background and formal education to help Intelligent Fitness clients improve their overall quality of life. Excellent Spin Classes! The facility is neat, clean, and I hear the music I like. The people are pleasant, courteous, and professional. Ilene is the best! Classes are organized, challenging, fun and varied!